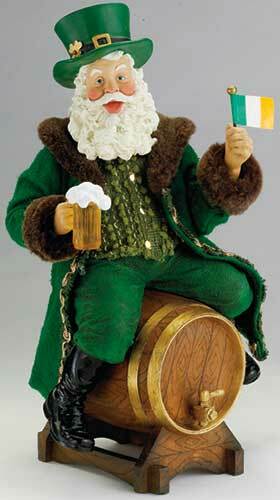 Irish Santa figurine is a musical Christmas decoration that you wind to play Danny Boy. Wind this musical Irish Santa decoration to play the melody to Danny Boy. 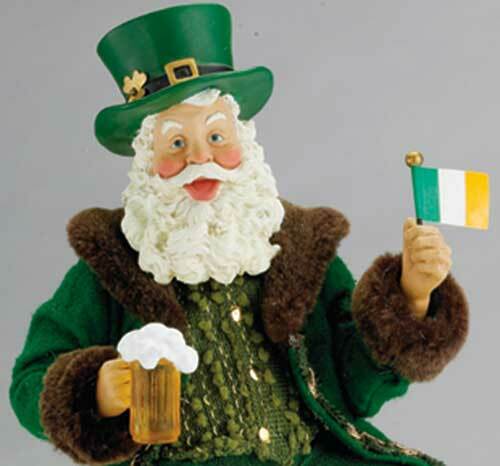 The Irish Santa features an Irish flag in one hand and a mug of frosty beer in the other along with a shamrock on his hat. 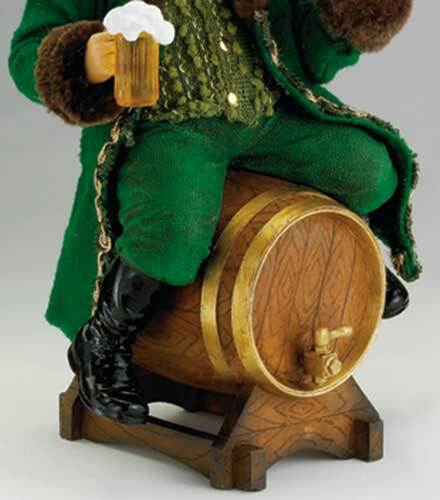 The Irish Santa figurine is sitting on a wooden beer keg and measures 11" tall x 6 1/2" wide x 4 1/2" deep. The Danny Boy Irish Santa is made of porcelain and Fabriché by KSA. The musical Irish Santa is received with a shamrock history card, complements of The Irish Gift House. Musical Irish Santa plays Danny Boy and he is appropriately named Beer Fest.